As I’ve written before, it was a work project on the Taos Pueblo that first spurred my curiosity about New Mexico and led to my first visit in 1996, which led to the obsession—a healthy one, for a change—to someday move there. Writing about New Mexico several times after that first assignment, including for Scholastic’s America the Beautiful series, introduced me to other parts of the state’s diverse, sometimes awe-inspiring geography and rich history. Fajada Butte, near the entrance to the canyon. One place that I wrote about several times was Chaco Culture National Historical Park, more commonly known as Chaco Canyon. This remote spot west of Santa Fe was once the center of a thriving Native American culture, whose residents are the ancestors of today’s Puebloan people, many of whom consider it sacred land, as do some Navajo. Not a city per se, Chaco was more of an administrative, commercial, and ceremonial center for different peoples of the regions. They traded with Indians all over the Southwest and into Mexico and communicated over vast distances using signal fires. The ancestral Puebloans also built roads into the canyon that linked Chaco with other communities; they oriented buildings to the seasonal positons of the sun and moon; and they erected massive “great houses” of unprecedented size for the region using only simple stone tools. The remains of the great houses are what attract most visitors today. I went as part of a tour sponsored by the University of New Mexico and so learned a lot about the archaeology and history while exploring the ruins. The largest of the great houses was Pueblo Bonito, with some 600 rooms, though not all of them were inhabited at once. Construction on Bonito began some time during the 800s. The building process there and at other Chaco great houses sometimes went on for several centuries. 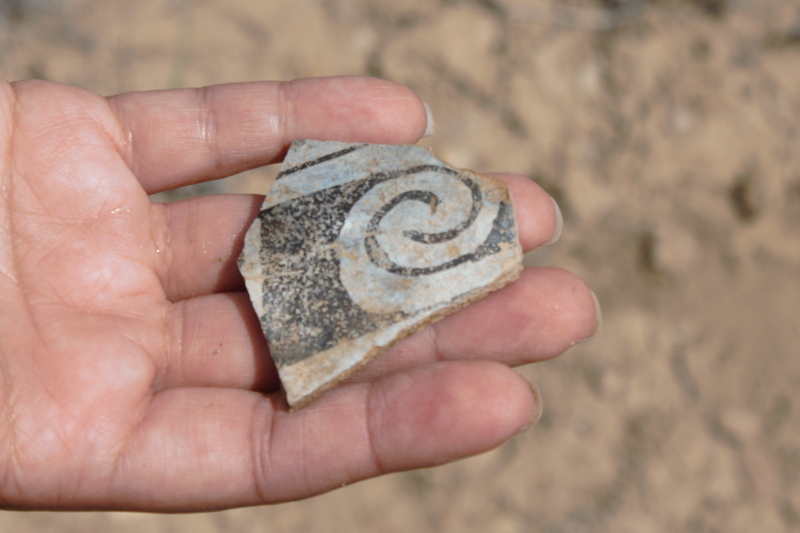 Exploring the lives of the people who lived there continues today, though at times it can take archaeologists decades to process what they learn from the artifacts and offer explanations for how and why the Chacoans lived as they did. As to why they left the canyon: drought may have played a role, compounded by internal political conflict or invasions by hostile tribes. 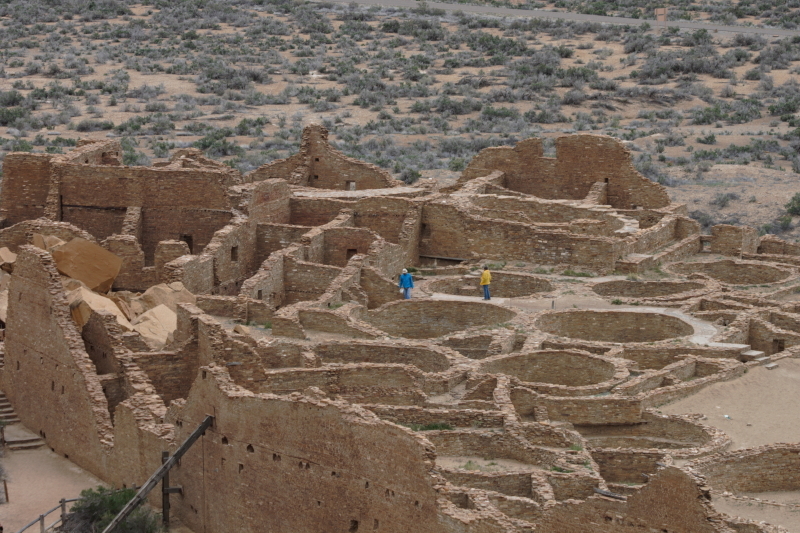 But it seems clear that by 1200 the Chacoans had mostly abandoned their great houses and moved on. Just as the Chacoans looked to the sky for celestial markings, today’s nighttime visitors can enjoy a beautiful panorama of stars and planets. Chaco has earned the Dark Sky Place designation from the International Dark-Sky Association, which educates about light pollution and the need to preserve dark skies. 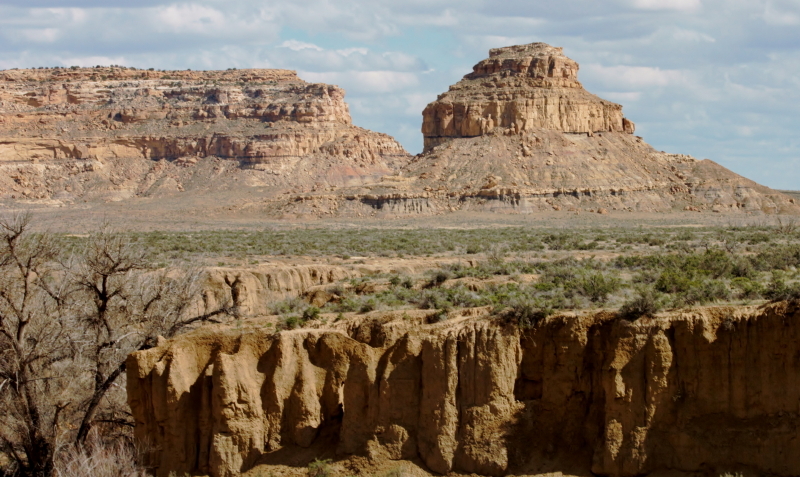 But Chaco Canyon is also facing a threat from companies seeking to extract oil and natural gas from the surrounding countryside. Driving out there, I could see new wells and roads popping up all over the area. 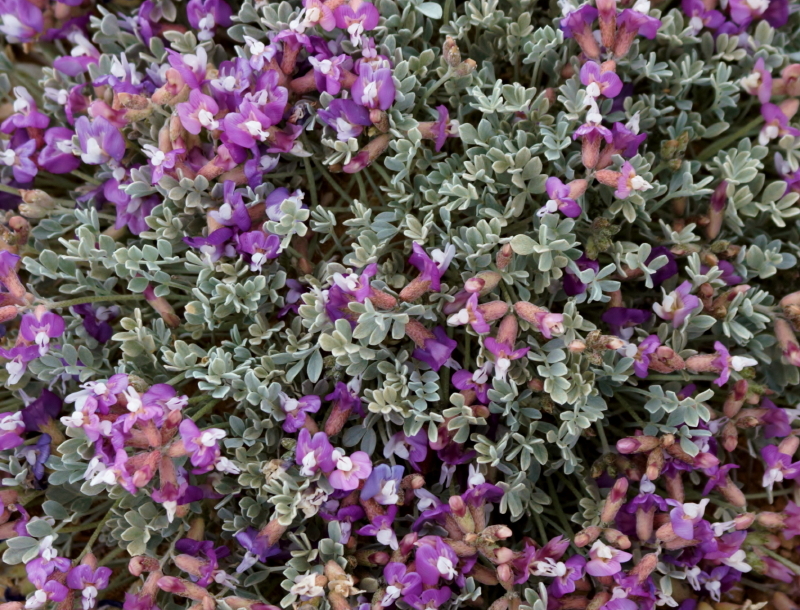 The Bureau of Land Management said at the end of 2014 that it would hold off on issuing more leases for extraction—for now. But in a state starved for jobs, the battle to limit fracking and other activities near Chaco is most likely not over. 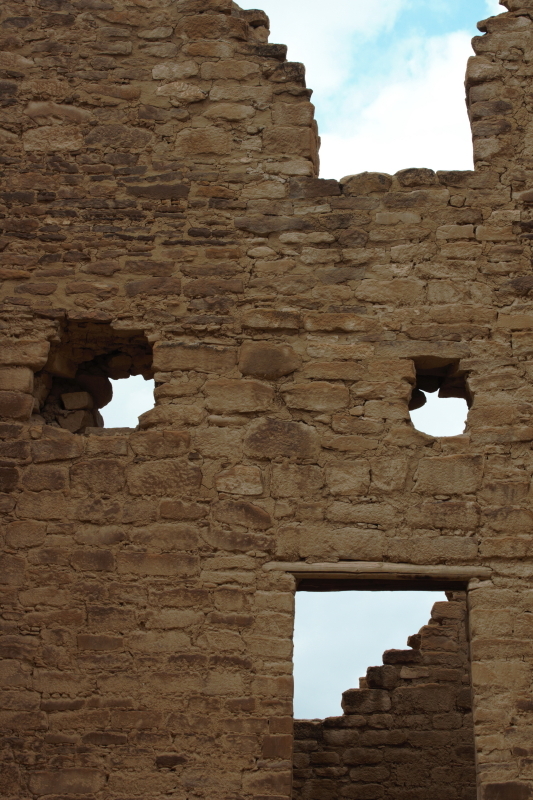 For now, though, visitors can explore the park by day and star gaze at night and still have a sense that they’re experiencing a great part of New Mexico’s past. This entry was posted in History, New Mexico and tagged Chaco Canyon, Dark-Sky Association, fracking, great houses, Pueblo Bonito, Pueblo Indians by mburgan. Bookmark the permalink.